1. The Cable Car (or, the next step in the Disney-ification of the Old City & Historic Basin). The Planning Process: We are entering the operational planning stage, with 15 million NIS allocated for this purpose. According to Minister of Tourism Yariv Levine (Hebrew), the total cost of the project is 200 million NIS. The intention apparently is to carry this out without a statutory Town Planning Scheme -- which is illegal and means there will be no public hearing process -- and to proceed directly to the issuance of a building permit. This will fast-track the plan. The Route & Capacity: The route at this stage n o longer extends to the Mount of Olives, Gethsemane and the Pool of Siloam (as originally planned), but extends only as far as Dung Gate/the northern entrance to Silwan (map). The route of the line is 1400 meters long, with 40 cars and a capacity of 3000 passengers per hour. The Terminals: The route will have four terminals: the First Station, Hamefaked St. in Abu Tor, Mt. Zion, and the Kedem Complex at Dung Gate/the northern entrance to Silwan. The Dung Gate terminal will not be located adjacent to the ramparts of the Old City (as appeared to be the case in the past) but will be located in the highly controversial Kedem Complex, owned and operated by the Elad settlers. The Kedem/Silwan terminal will be located a mere 175 meters from the Al Aqsa Mosque. Comment: While this shorter route does not include some of the devastating elements of the original plan (as discussed in our previous reports - here, here, and here), the project remains highly problematic. The fact that the last terminal is located in Silwan - at the main entrance to the neighborhood, at a site managed by the settlers, and situated less than 200 meters from Al Aqsa - highlights the symbiotic relationship that exists between the settlers and the Government. Together, they are aggressively promoting an agenda that seeks to marginalize and to the greatest extent possible over-write the Palestinian presence in Old City and Historic Basin, replacing it with a Biblical-Jewish Disneyland. Both the project itself and the context of its approval - celebrating the “reunification” of the city in a location that is at the core of the tensions between Israel and the Palestinians - are blunt statements that Israel is determined to take ownership over Jerusalem holy sites, in total denial of the sensitive nature of the place for faiths other than the Jewish one. And if one may put the geopolitics aside for a moment, this is yet another example of the vulgar schemes Disney-fying the Old City and its environs, and now set to destroy the character of its precious skyline. Based on the government’s decision (Hebrew) of May 28, 30 million NIS is being allocated by the government (from various ministries) to a project to build an elevator to the Western Wall, to be implemented over the next three years. The Company for the Rehabilitation and Development of the Jewish Quarter, which has committed to raise an additional 20 million NIS for the completion of the project, will be in charge of its implementation. The project includes the digging of a 26 meters-deep elevator on Misgav Ladach Street in the Jewish Quarter and of a 65 meters-long tunnel connecting the lower exit of the elevator to the security checkpoint at the entrance of the Western Wall. While any project in and around the Western Wall and the Temple Mount will, in the absence of coordination among all stakeholders, likely be controversial, we do not see anything sinister in this plan, which will make the Western Wall more accessible to the disabled. 3. Improving sanitation for East Jerusalem (but only inside the barrier). Also coinciding with the 50th anniversary of the “reunification” of Jerusalem, the government approved a plan to improve conditions for Palestinians living in parts of East Jerusalem. The government approved the allocation of 177 million NIS to provide household waste disposal and sewerage infrastructure for East Jerusalem residents living on the Jerusalem side of the security barrier (i.e., Kafr Aqab and the Shuafat refugee camp excluded). It should be recalled that up to one-third of Jerusalem’s 323,000 Palestinians residents live beyond the barrier. The allocation of this budget for sanitation improvement is part of a broader decision (Hebrew) by the Cabinet that allegedly aims at “reducing the socio-economic gap” in East Jerusalem. For this purpose, the decision broadly refers to the development of infrastructure, commercial zones, employment opportunities and the enhancement of education, without allocating to these items a budget, and asks the Director General of the Ministry of Finance to develop a plan that will be brought to the government for approval. While the budget allocated for sanitation projects in East Jerusalem is clearly welcome (and long overdue), it does not represent a sea change in treatment of East Jerusalem’s Palestinian neighborhoods, which are allocated just 12% of the city’s budget, despite the fact that residents of these areas comprise 37% of the city's population. This one-time allocation will hopefully improve some of the aging infrastructure of these neighborhoods, and create some basic infrastructure that simply does not exist, but it does nothing to make the annual municipal budget more egalitarian. With many billions of shekels required to bring the infrastructure in Palestinian neighborhoods of East Jerusalem up to the level that exists in Israeli areas, this allocation will do nothing to affect the real inequities under which Palestinian residents of the city live. In addition, the apparent exclusion of Kafr Aqab and the Shuafat Refugee Camp from the plan is the formalization of an already existing reality, whereby Israel fails to fulfill its legal obligation to provide the most basic services to areas under its jurisdiction. 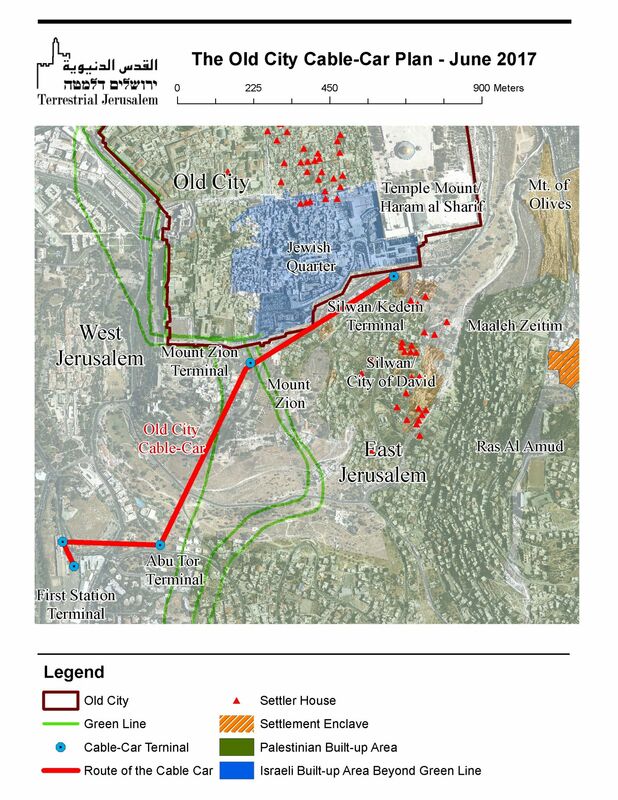 It is perhaps no coincidence that the announcement of the allocation for East Jerusalem, and its exclusion of these neighborhoods, was published simultaneously with another report stating that Israel’s National Security Council was considering the possible disconnection of both neighborhoods from the municipality and their transfer to the PA. The Cabinet decision also included the allocation of an additional budget (Hebrew) of 50 million NIS for the development of facilities in the Old City’s Historic Basin. This budget is allocated as part of a seven-year program launched in August 2005 and renewed in 2012. According to the decision, it aims at developing public facilities within the Historic Basin to facilitate access to the area. Most of the projects developed within the framework of this program are deeply tied to settler-driven initiatives that aim at increasing the Jewish/settler presence in and around the Old City, through the development of public parks, visiting centers and other types of initiatives that do not serve the local population (see our previous report on the Ras El Amud Visitors' Center). The Cabinet also decided to allocate an additional one million NIS annual budget for both 2018 and 2019, for an existing multi-year plan that aims at facilitating the ongoing development of the Western Wall esplanade and of the tunnels, including the excavation and preservation of archeological findings. While the details of the plans to be implemented are not yet known, they are a source of concern that merits vigilant monitoring. Under optimal circumstances, the proximity of the Western Wall to the Temple Mount/al-Haram al-Sharif would meant that any such development plans, however innocent, would be coordinated with all stakeholders, first and foremost the Waqf and the Government of Jordan. Since such coordination is unlikely, these plans will likely be very controversial. The Western Wall serves multiple purposes: a place of worship for Jews, a tourist attraction, an archeological site, and a symbol of national prowess where numerous national (and at times nationalistic) ceremonies take place. Even today, the Western Wall and its infrastructure are being fully integrated into the vast, biblically informed subterranean network being created by the excavations taking place under the Muslim Quarter (with much of the authority in these new sites vested in the Western Wall rabbi). Past plans have often reflected these nationalistic aspirations, (see here, here, and here). While whatever plan emerges will likely generate heated debate in Israel (among the ultra-Orthodox, the residents of the Jewish Quarter, the archeologists, Women of the Wall, etc.) it is likely that the plan will be no less controversial in the international arena.